Waste management is not something that we should be apathetic about. This planet is our home, but the sad reality is that many people do not understand the importance of properly managing rubbish. Most people think that they are doing the right thing by filling the local waste tips. Such process is time-consuming and at the same time, it significantly affects the environment. In this article, we’ll discuss how you can help the environment by properly managing your waste. Keep reading if you also want to discover eco-friendly alternatives to dumping your waste in the landfill. When we recycle, we avoid depleting our earth’s resources. Keep in mind that paper is manufactured by cutting down trees. When we recycle paper, it means that we are working towards eliminating the need to cut trees. We won’t have to mine for aluminium when we recycle aluminium materials. Steel cans and glass bottles can also be recycled several times over. Proper waste management helps improve the quality of water and air, as well as reduce the emission of greenhouse gases. If you do not have the time to visit a sorting or recycling facility, you can opt to hire a skip bin in Perth. Skip bin companies typically work with licensed sorting facilities. So, when they collect the waste, they are usually salvaged for redistribution, recycling and reuse. By booking a skip bin, you can reduce pollution and lower the demand for producing new materials. As we’ve mentioned, proper waste management involves turning recyclable materials into useful substances. You can also contact a skip bin company for your green waste. Your grass clippings, twigs, palm fronds and leaves can be recycled and turned into compost. Compost is an excellent fertiliser which can be used in farming and cultivation. When you turn your green waste into quality compost, you are reducing the need for artificial fertilisers. At the same time, you can also encourage crops to grow healthier. Non-recyclable waste typically goes through a controlled process of incineration. Waste energy would then be captured to generate electricity. Keep in mind that without proper waste management, you will not be able to transform your rubbish into useful substances. They will just end up in the landfills or worse, floating in the ocean. When you compare recycling processes to creating new materials, the energy used in the former is a lot lower. Since manufacturing from virgin materials requires processing and extraction, it usually consumes more energy. The amount of energy that can be saved typically depends on the type of material and the processes. In general, most recycling processes are more energy efficient when you compare them to processes used for manufacturing brand new materials. For instance, when you recycle aluminium, you can save about 95% of the energy required from producing the same amount of aluminium from raw materials. 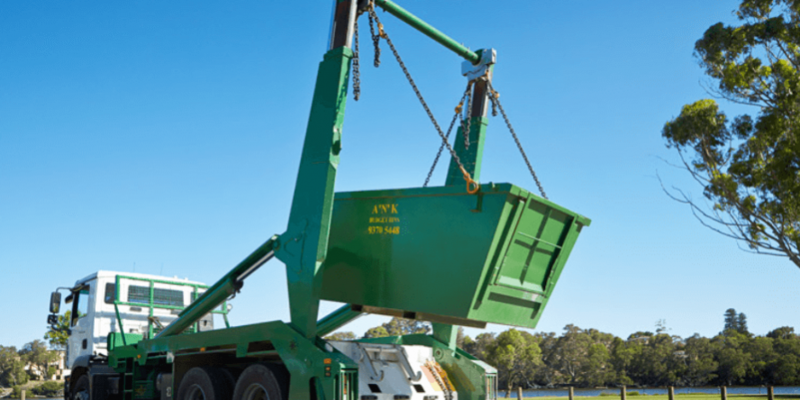 When you opt for a professional skip bin hire service in Perth, you can rest easy knowing that most of your waste won’t reach the landfills. When you work with a waste disposal company like A’n’K Budget Bins, your rubbish will be sent to a licensed recycling depot. We also make sure that all the other waste is incinerated as far as possible. It is worth noting that when waste ends up in landfills, it decomposes slowly, producing leachate and methane. The aforementioned substances are extremely harmful to the environment. When we avoid dumping our waste in the landfills, we also significantly reduce the production of such harmful substances. Recycling is truly beneficial for the environment. However, it can consume a lot of your time and effort. So, if you want a convenient and efficient way to manage your waste, then give A’n’K Budget Bins a call today. We ensure you that we comply with environmental regulations when disposing of waste. To book a bin, contact A’n’K Budget Bins today!